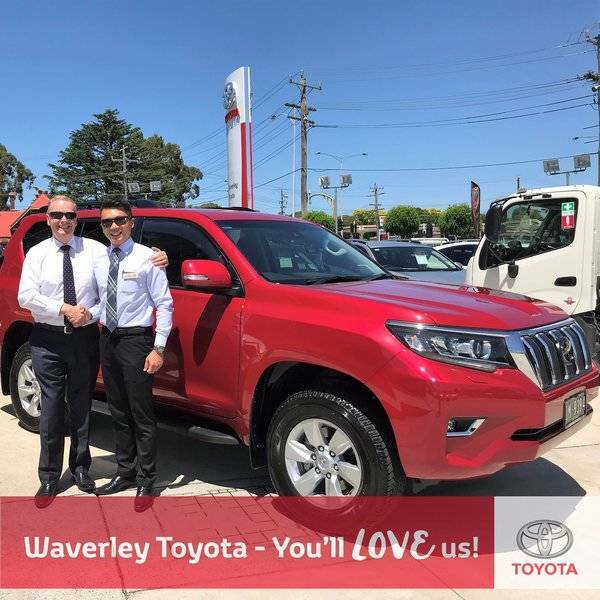 Ivan from Bayswater taking delivery of his new Toyota Prado GXL. Ivan, is one of our New Vehicle Sales Consultants. 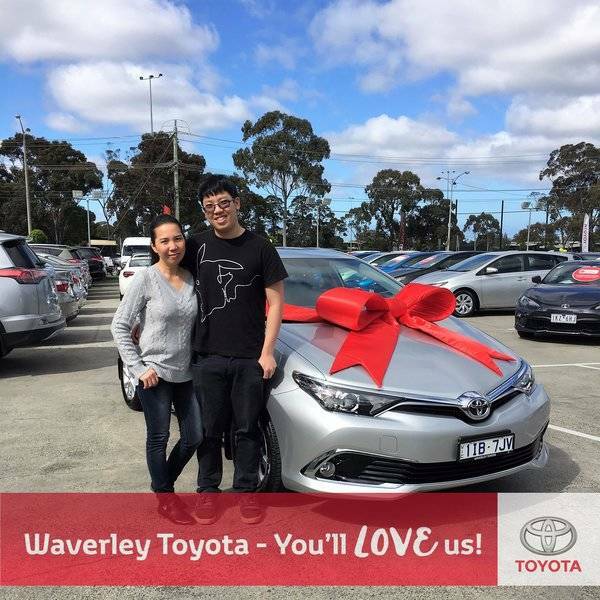 After working for Waverley Toyota for 5 years, and loving and trusting the brand so much, he has purchased his first Toyota. Congratulations! 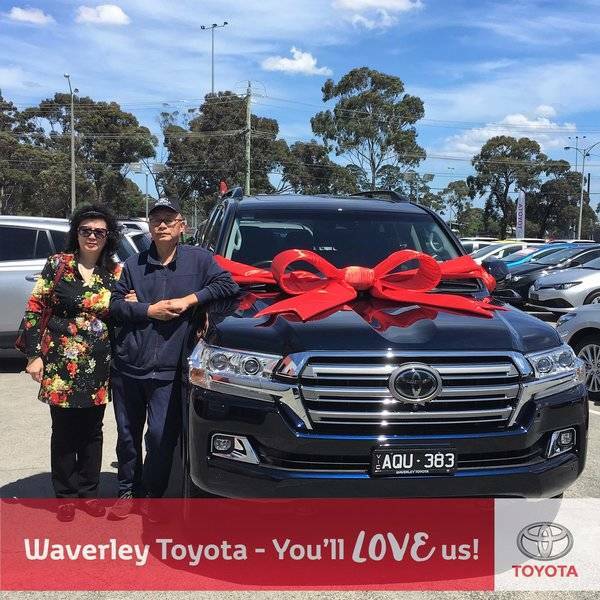 Mr ans Mrs Cui from Glen Waverley taking delivery of their Toyota LC200 Sahara. Congratulations! 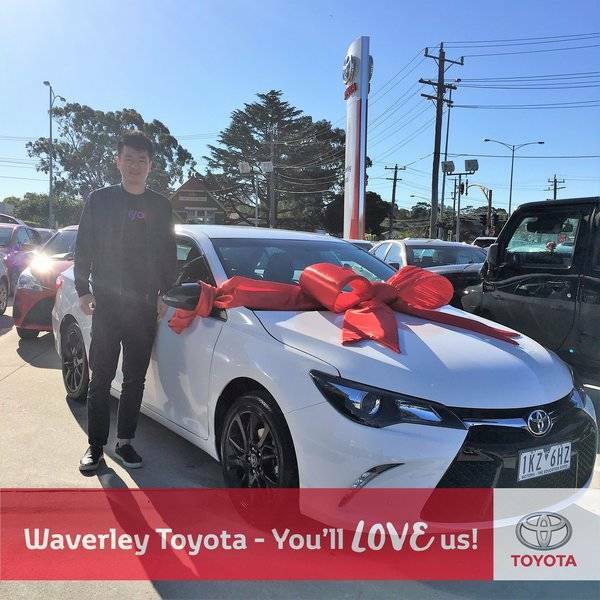 Mr Chen Chen from Burwood taking delivery of his Toyota Corolla in Wildfire. This is Mr Chen Chen 6th Corolla, he loves changing his car every 3 years. Red is his lucky colour. Oh What a feeling! 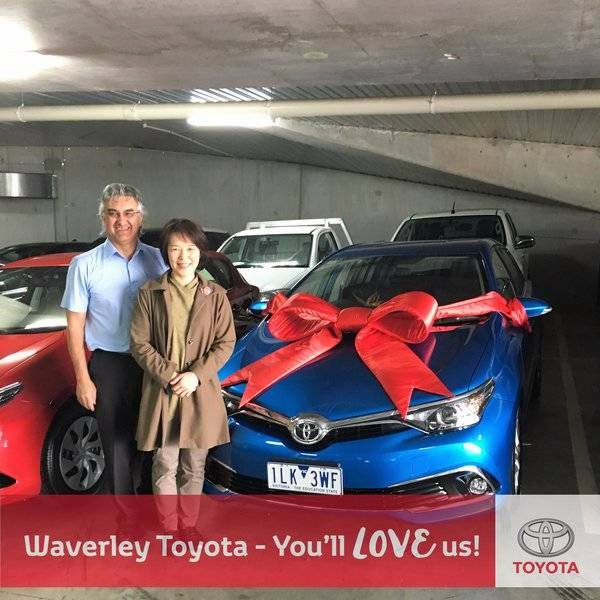 Mr Everton & Satomi from Burwood East taking delivery of their Toyota Corolla. They down sized their Kluger to something smaller so that their daughter can learn to drive. Enjoy from Tuan! 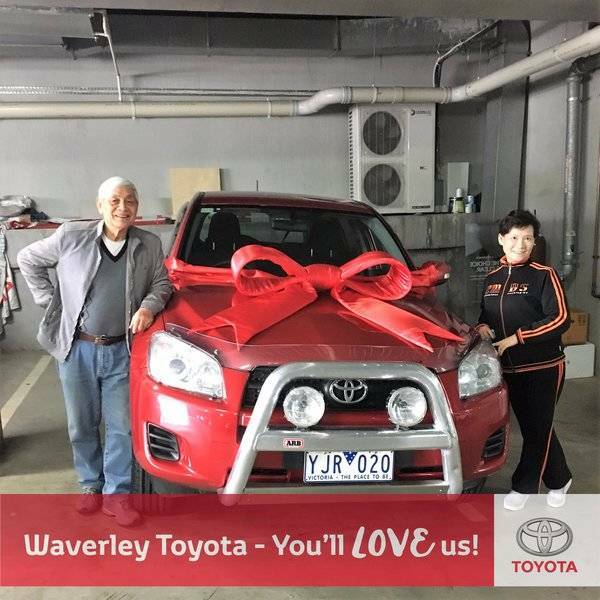 Mr & Mrs Lam from Glen Waverley taking delivery of their pre-owned Toyota Rav4. Mr & Mrs Lam updated their 2003 Rav4 thanks to the great service from Tuan. Oh What a feeling! 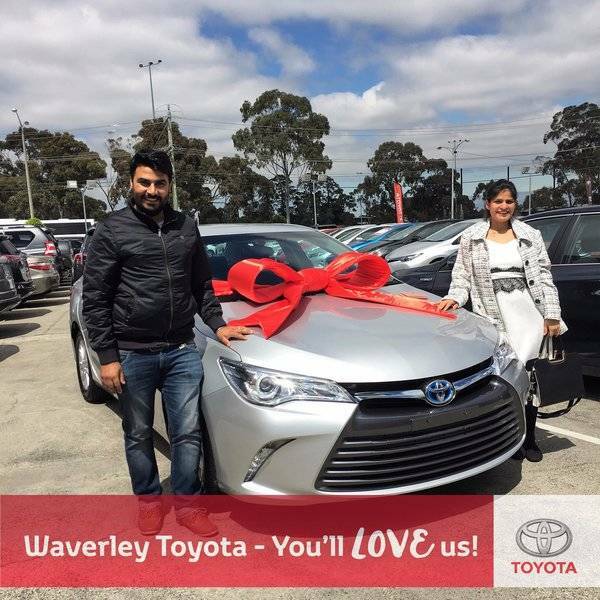 Yashpal Sood from Noble Park taking delivery of their Used Silver Camry Hybrid. Yashpal will be using the car for a Taxi. Congratulation! 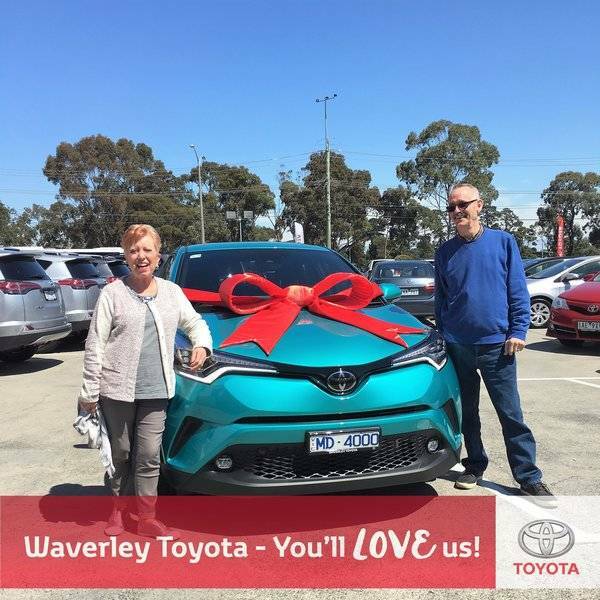 Margaret & John Dix from Berwick taking delivery of their new Toyota C-HR. Margaret is retired and downsized from a Rav (also purchased from Tuan) to a CHR. She is loving it. Enjoy! 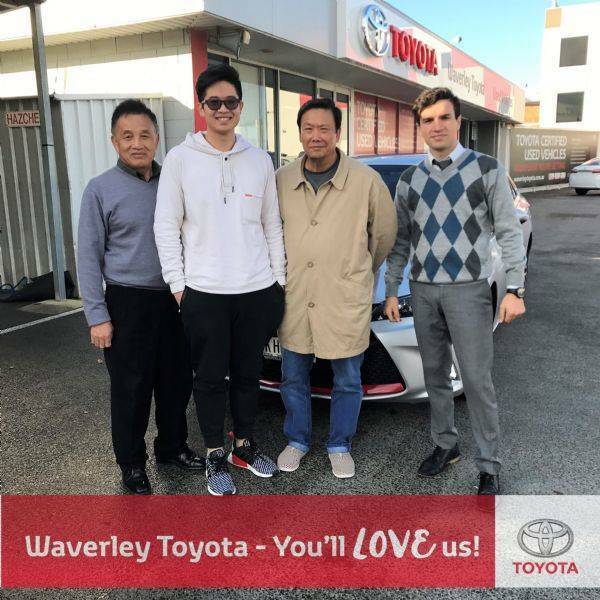 Edward from Chadstone taking delivery of his new Camry. Edward purchased the Camry for his lovely wife Lulu... Congratulations! 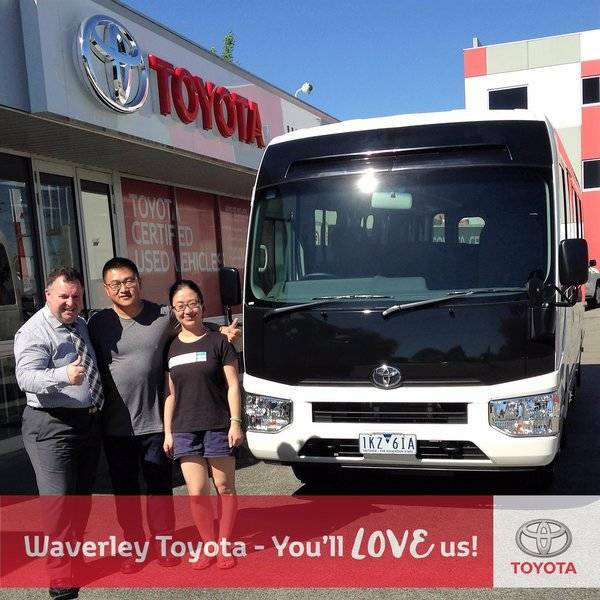 Miss Li Li from Glen Waverley taking delivery of her new Toyota Coaster Bus. Miss Li Li loves her new Coaster Bus that will be used for her Travel Business and the Service from Adrian. Enjoy! 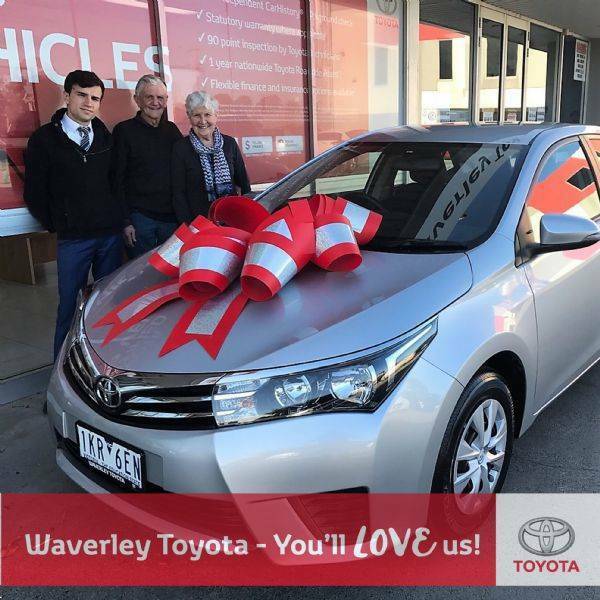 Teresa from Hampton Park taking delivery of her new Corolla Ascent Sports. Teresa purchased the Corolla for her son Michael. Congratulations! 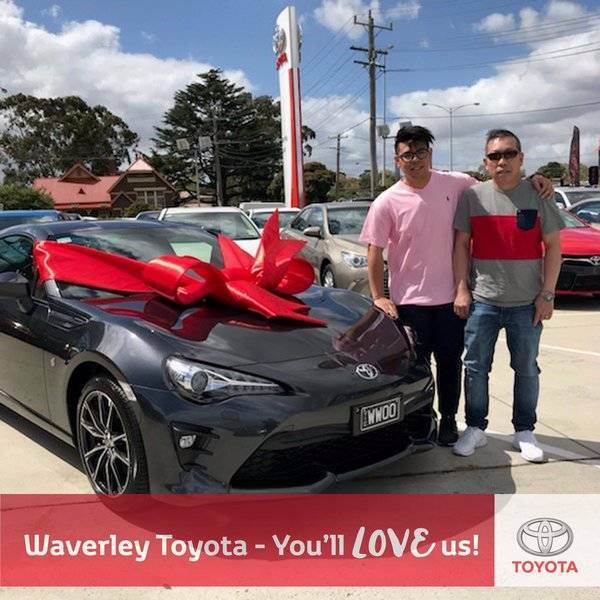 Warren and Mr Woo from Springvale taking delivery of their Toyota 86 GTS. Enjoy! 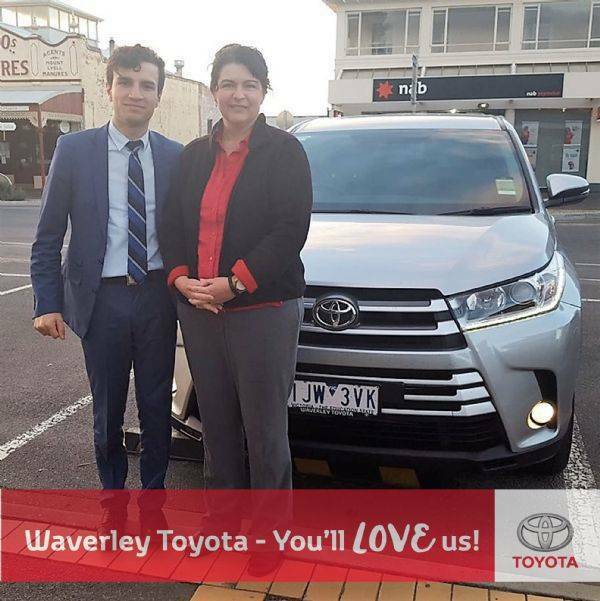 Karen from Yarrawonga taking delivery of her new Toyota Kluger. Karen loved the service and the fact that the vehicle was delivered to her Business address. Congratulations! 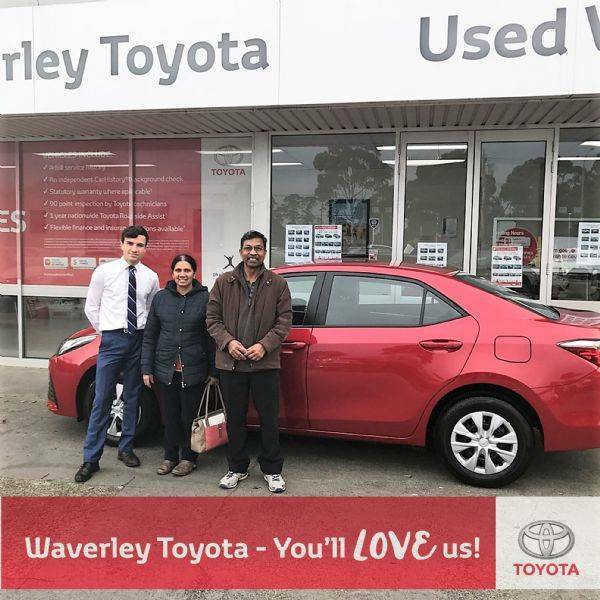 Shirley and Frank from Glen Waverley taking delivery of there new Toyota Corolla. They were very happy with service and spoke very highly of the Pre-owned Team. Enjoy! 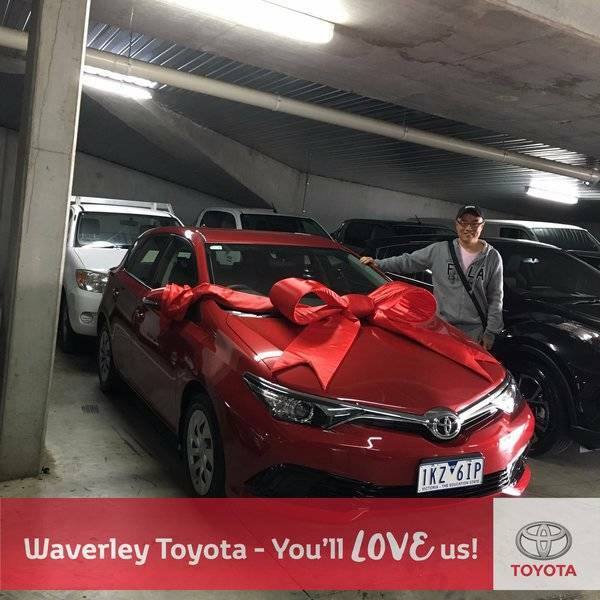 Thann from Springvale taking delivery of his new Camry SX; Thann loved the deal and the service that was given by Faith. Congratulations!